Of all the gemstones in the world, diamonds are the most highly prized, both for their beautiful, sparkling luster and for their useful properties. This is also where we get the word ‘adamantine’. Diamonds are most beloved for their beauty, however; while the most treasured diamonds are typically white diamonds, they can reflect every color of light and can radiate a rainbow of hues. Many of the world’s most famous diamonds are colored, and are cherished as much for their impressive size and clarity as for their brilliance. These diamonds are some of the most spectacular in all the world. The Hope Diamond. This diamond is well known both for its beautiful blue color and for its infamous (though questionable) history. It is not the largest diamond in the world, weighing in at 45.52 g, but is still quite sizeable. 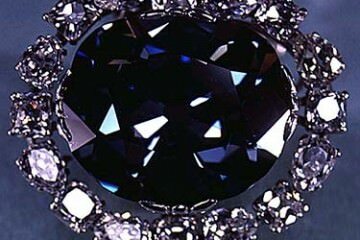 The diamond’s main claim to fame is the supposed Curse of the Hope Diamond. The diamond has supposedly been owned by a number of historical figures who met unfortunate ends, though historians question the accuracy of the tale. Indicating that the Hope Diamond’s curious history may have been manufactured as a marketing ploy by diamond companies. The current owner of the diamond is the Smithsonian Institution, which has experienced nothing but good fortune as a result of the diamond drawing numerous visitors to the Museum of Natural History every year. The Darya-ye Noor. This diamond is a bit smaller than the Hope diamond, weighing 36 g. The name is Persian and means ‘Sea of Light’, a reference to its elegant rectangular cut and smooth, clear surface. This diamond is light pink in color, which is quite rare. Currently it is housed in an elaborate framework and is stored in the Central Bank of Iran. The Darya-ye Noor may once have been part of a larger diamond. Historians believe it was cut away from this larger diamond, the ‘Diamanta Grande Table’ in the 17th century, and that the other piece may be the smaller diamond called Noor-ol-Ein, which weighs 12 g.
The Spoonmaker’s Diamond. 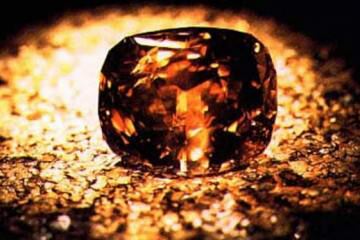 Weighing in at 17 g, it is not the largest diamond, but it is among the most legendary in the world. A yellow diamond, cut in a teardrop shape and surrounded by Old Mine-cut diamonds, it was made to resemble a full moon against a backdrop of stars. Currently the diamond is housed in the Topkapi Palace Museum located in the city of Istanbul, but even the museum’s curators are uncertain as to how they acquired it. Most of the legends surrounding the diamond imply it was at one time the property of Ali Pasha Tepelena, a famous Ottoman governor. The Orlov. This Russian diamond is stored in the Moscow Kremlin’s Diamond Fund. The Orlov did not originate in Russia, however; it once overlooked an 18th century Hindu temple as the eye of a carved statue of a deity. The Orlov is white with overtones of blue and green, and roughly the shape of an egg. The Tiffany Yellow Diamond. This diamond is quite large, weighing in at more than 57 grams. As its name implies, it has a luminous yellow color, and is famous for its elaborate cut comprising 90 facets, and when it was discovered, it was purchased by Charles Tiffany of Tiffany Diamond fame. 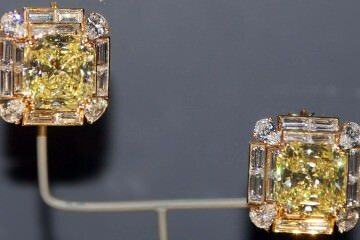 Only two women in history have ever worn the Tiffany Yellow Diamond, Mrs. Sheldon Whitehouse and Audrey Hepburn. 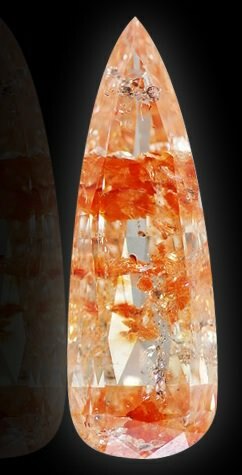 Koi Diamond. This diamond weighs only 6.4 g, but it is one of the most unique diamonds on the planet because of its unique graduations in color which include white, orange, yellow, black, and dark blue. The colors of the diamond are reminiscent of the Koi fish, thus the name of the diamond and the special cut it has received, also evocative of the fish of legend. 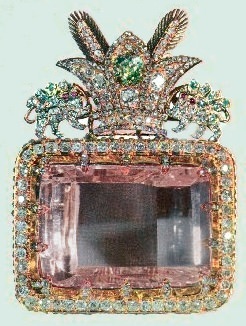 Wittelsbach-Graff Diamond. This diamond has a deep blue-grey color and actually has a private owner; it was purchased by Laurence Graff in 2008 for 16.4 m. At the time of purchase it was 6.21 g, but is now 800 mg lighter since Graff decided to re-cut the diamond to remove flaws. This action resulted in a great deal of controversy, since the diamond no longer has the same historical integrity it did before it was altered. The Kohinoor Diamond. Another prime example of the lore and legends surrounding diamonds is the Kohinoor diamond, which has perhaps the bloodiest history of any diamond currently in existence. While the Wittelsbach-Graff diamond is privately owned, most of the famous diamonds of the world are displayed in museums or housed safely by national governments. They are treasures with natural value and historical mystique, which is why it is so important to protect them from damage or alteration. 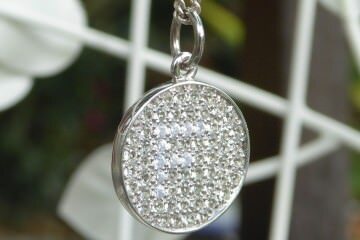 The fame of so many beautiful diamonds and the lore that surrounds them is a never-ending source of fascination. In part this is the result of 20th century marketing efforts by Charles Tiffany and others in the diamond industry, but the magic and beauty of diamonds has a much richer and deeper history than that, as you can see from these splendid examples. The wonder they evoke is as unbreakable as the gemstone itself, which is why diamonds will continue to be popular gifts for weddings, anniversaries, and other special occasions, and will continue to symbolize wealth and majesty as a timeless tradition.